Join us for a free, family-friendly event to celebrate the multiculturalism of the West Coast fishing industry, and the opening of our new feature exhibit, The Pull of the Net: Commercial Fishing in Canada. The event will open with a vibrant, dynamic Lion Dance troupe at 11am in front of the Cannery, followed by other exciting performances at the top of each hour (see Performance Schedule below). 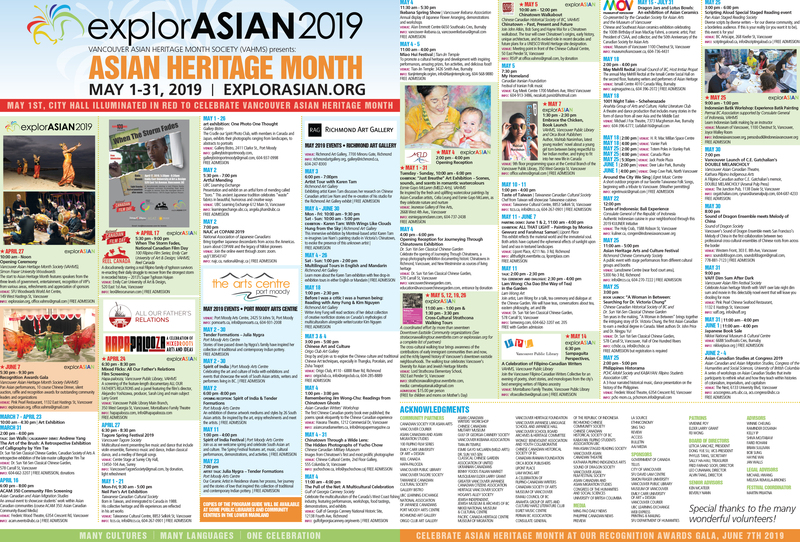 Inside the historic cannery, enjoy kids’ activities, displays, workshops and demonstrations presented by our community partners; take a guided tour through our new feature exhibit; or watch the Nikkei Stories short films in our Boiler House Theatre. Don’t forget to take part in our community weaving project with the Richmond Weavers and Spinners Guild, and together help weave a unique textile panel to represent our vibrant multicultural community! We are also excited to have a selection of food vendors in front of the Cannery including: Portuguese Cooking by Chef Daniel; Scottish shortbread & treats by Lil Slice of Heaven Baking Co; and bubble tea & shave ice by Juicy Green Express.